The home of Cliff Ravenscraft, a well known podcast producer with tons of experience. You will find everything you need here, and Cliff also sells podcasting hardware packages, handy if you’re in the US and don’t want to spend time researching the different hardware options out there. His whole site is a podcasting resource, but you can start off with his dedicated set of how-to videos. 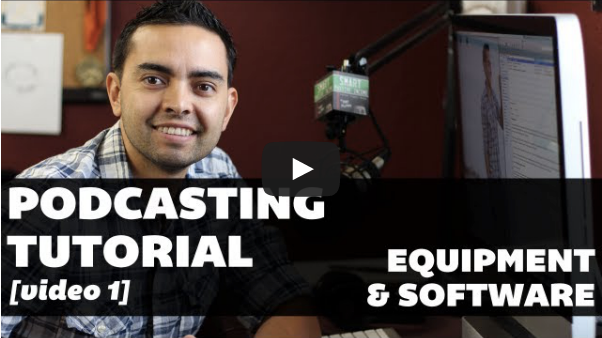 Perfect for those who are just starting out, Pat Flynn is absolutely killing it with his podcast, and he spells things out very nicely in this set of videos about how to get started with podcasting. John Lee Dumas is one of my favourite podcast hosts and he amazingly releases one podcast a day. He has a free weekly webinar which you can join, and from there you can also subscribe to become a full paid up member of his podcasting community, where you can continue asking questions and learning. This is the most concise and straightforward guide to starting a podcast that I know about. This is a post containing some useful resources and Jeff’s journey in starting his podcast. Hope you find these resources useful. Let me know if I’ve missed out on any others! Excellent list Jean! I used both Cliff and Pat as stellar examples when I launched my show. Their videos are great. Thanks for chiming in Jeff, keep up the good work!